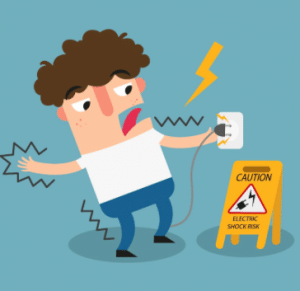 Millions of people in the UK expose themselves and their families to potentially fatal electrical accidents in the home by making simple blunders, down to a lack of knowledge about the dangers of electricity. It is important to make sure that the electrical installation in your property is well maintained, and we recommend that you use a registered electrician to check that it is safe. Use our socket calculator to see if you’re overloading your sockets.